This very fine oval brooch - 76 mm, 31 grams - shown in its actual size - can be dated to app. the 10th century. A super magnified image can be seen here. James Graham-Campbell considers 'it's not 'proper' Borre style, although obviously under the influence'. The findspot of the brooch is regrettably unknown, but must be addressed to this area. 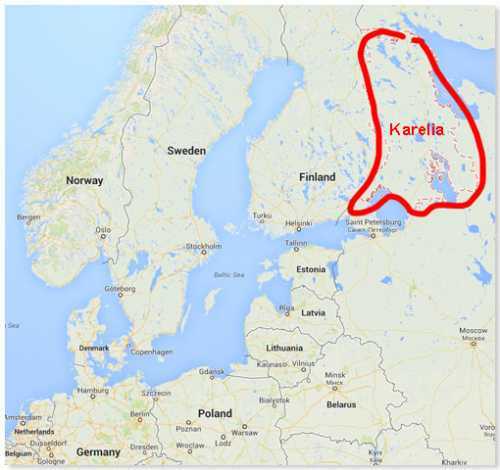 This interesting article from a metal detectorist shows that this type of oval brooches are found in the Finnic/Karelian/Northern Russian area. They differ in size and sometimes somewhat in decoration, but the two octopus images on the left and right of the centre top of the brooch are a returning feature. The smaller size of the oval brooch and the single shell are characteristics from the Baltic / Finno-Ugrian area. The double shelled elaborate oval brooches are purely Scandinavian. 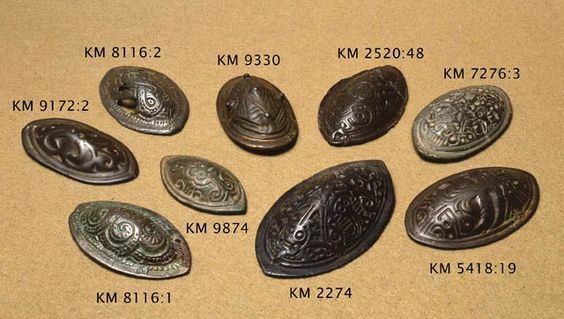 Though, not pure viking in the sence of the word, these smaller oval brooches are distinct from the Viking Age. This specific type is published in several books / publications. although the brooch published here has some same Borre alike characteristics, it is a different style of brooch and far more distinct Scandinavian in its nature. 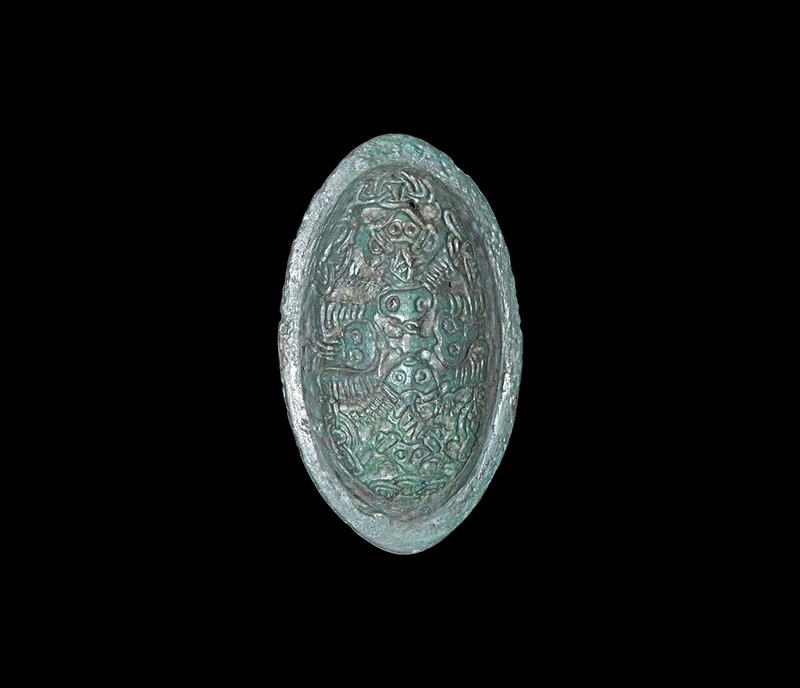 but this is also a pre Scandinavian (double shelled) oval brooch with ala Borre style decoration. About the development of shoulder brooches (with their chain arrangements) more can be read in Pirkko-Liisa Lethosalo-Hilander's Ancient Finnic Costumes. (p. 56). Oval brooches from Tavastia, Finland. Oval brooch found at the Kauskila burial ground. (photo: South Karelian Museum/Finland). Video on ancient Finnish costumes and the way jewellry was worn.